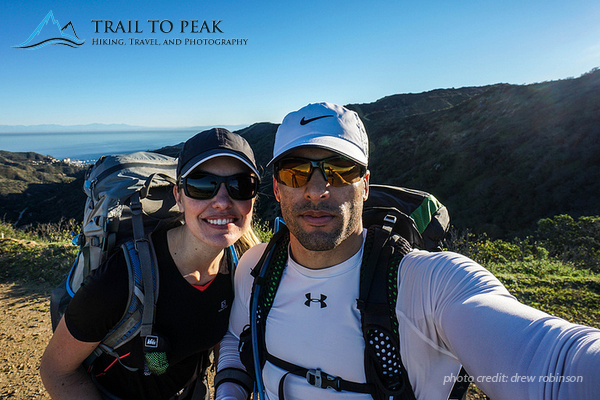 Trail to Peak Featured on the Catalina Travel Website! This weekend I got a surprise email from one of the writers at the Catalina Travel website. He asked if he could use my blog write up of the Trans-Catalina Trail for their website as a featured blog. It was exciting for me to have someone from Catalina notice my post and video, because I always hope and wonder if I’m doing such an incredible location justice with my write up. I had this same issue on Camino de Santiago, my Peru treks, and many other adventures. It’s so difficult to put the beauty and splendor of an island like Catalina into words, or display the heavenly landscapes through photo and video without feeling like you’re leaving something out. Features like this and positive feedback from so many incredible readers of this blog make me feel like I’m on the right track. So I’d like to give a big thank you to everyone at Catalina Travel, and to all of you who are reading this now! View the feature on Catalina Travel at this link! Congratulations! I love your blog — and I’m not surprised that the Catalina Travel Website picked it up. Thank you, Kristi! I appreciate it!